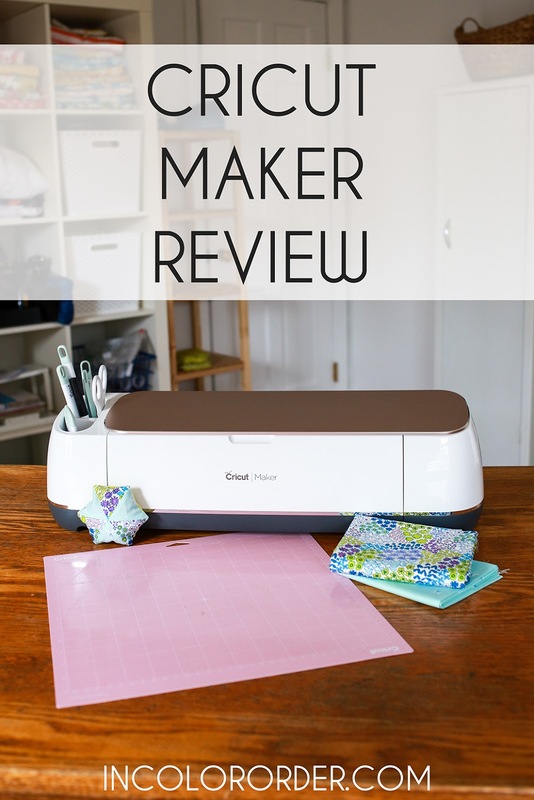 I'm excited to share my thoughts today about the new Cricut Maker machine. 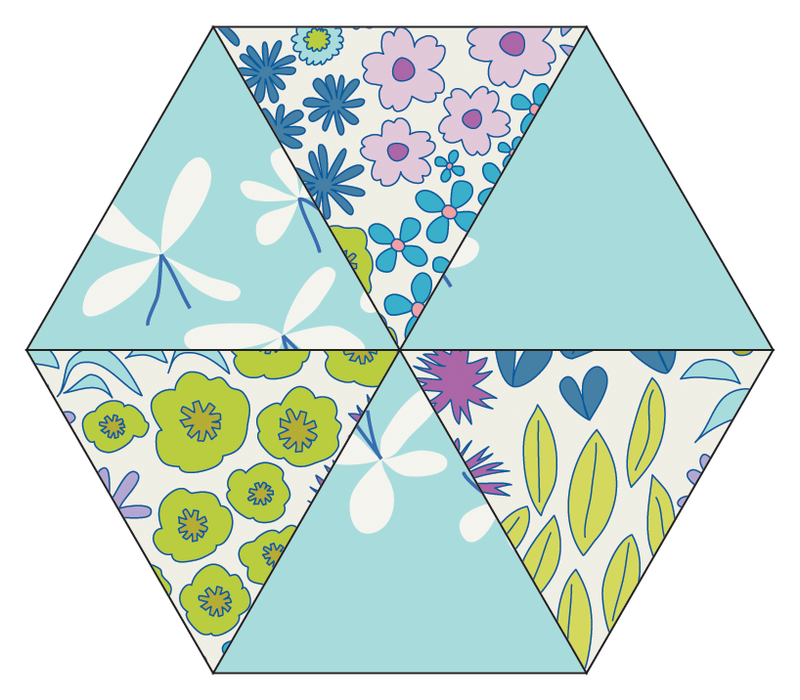 You'll also find a tutorial for making this hexagon pincushion with or without the machine! 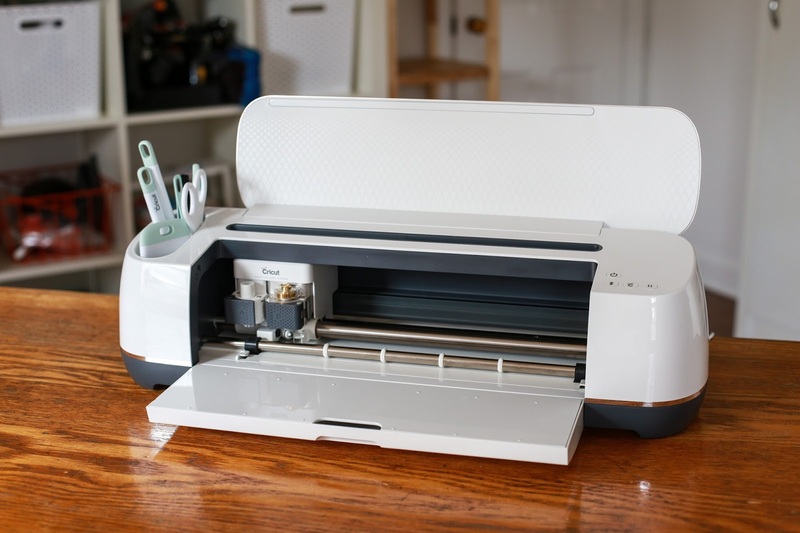 I have vivid memories of walking into the craft store when I was in high school and seeing the Cricut personal electronic cutting machines. Back then they required different cartridges to cut shapes in paper. I never got very into scrap booking, but I've always loved paper. These machines seemed so cool and fancy! I remember thinking I might save up for one, but was already spending too much of my budget on fabric. Fast forward to today, these machines have come a long way. 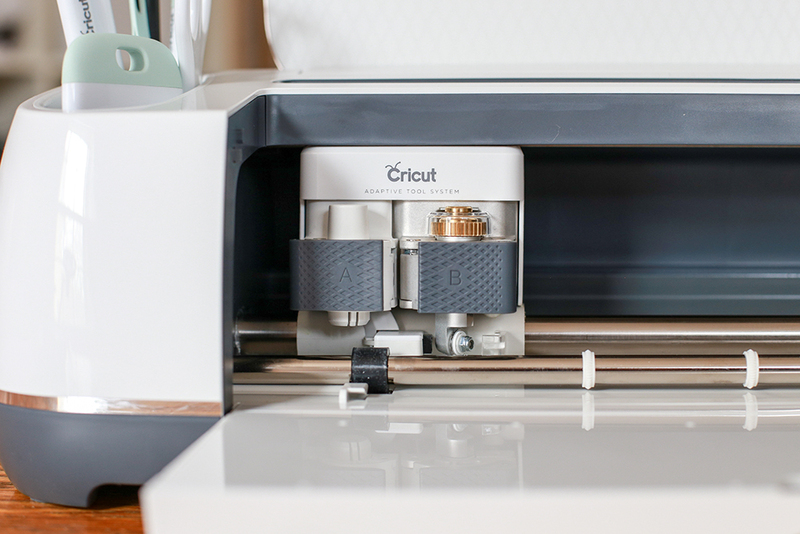 The Cricut Maker machine can cut paper, just like previous Cricut machines, but it can also cut through vinyl, thin balsa wood, and fabric! 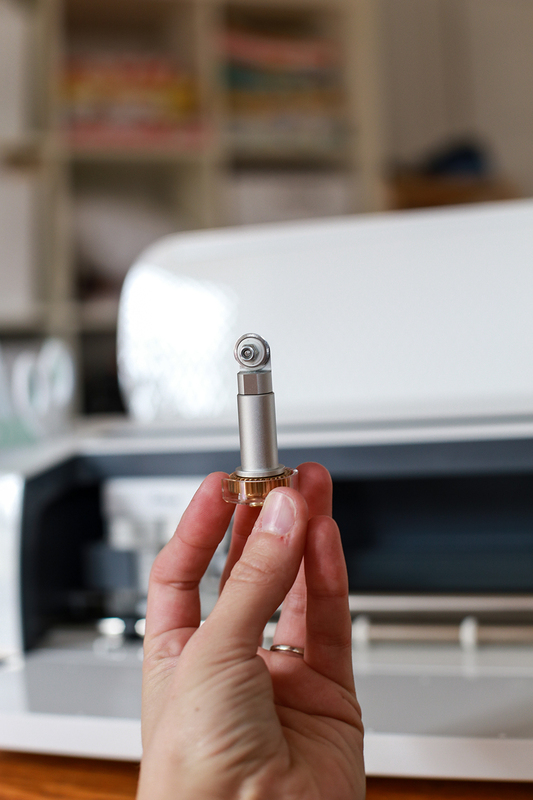 Some models along the way have been able to cut through fabric that's been bonded to a stabilizer (this one can too), but what sets the Maker apart is that it can cut unbonded fabric with a special little rotary blade. That means cutting fabric is as simple as sticking it to the mat and cutting! I don't know about you all, but I've always been a multi-crafter. I dabble in all kinds of different crafts. I still enjoy paper crafts and I also sew, quilt, knit, weave, dye, etc. Because I like to craft in so many different mediums, it's really nice when my tools or supplies can be used across multiple crafts. That's where the Maker fits in for me. One of the big reasons I was interested in testing out the Maker is personal. (Let's be real, one of them is to fulfill my childhood dream of using such a fancy machine.) As you may or may not know, I have arthritis. My disease primarily affects my wrists and hands, which are pretty critical when you're making something. I've spent a lot of time figuring out how to do things in ways that minimize their impact on my body and health. In the last 5 years especially, I've had a lot of wrist problems. A task that really takes a toll on me is cutting. Being able to use a machine to do some cutting for me is really appealing. I've used die cutting machines before, but they had to be cranked, which was still difficult. 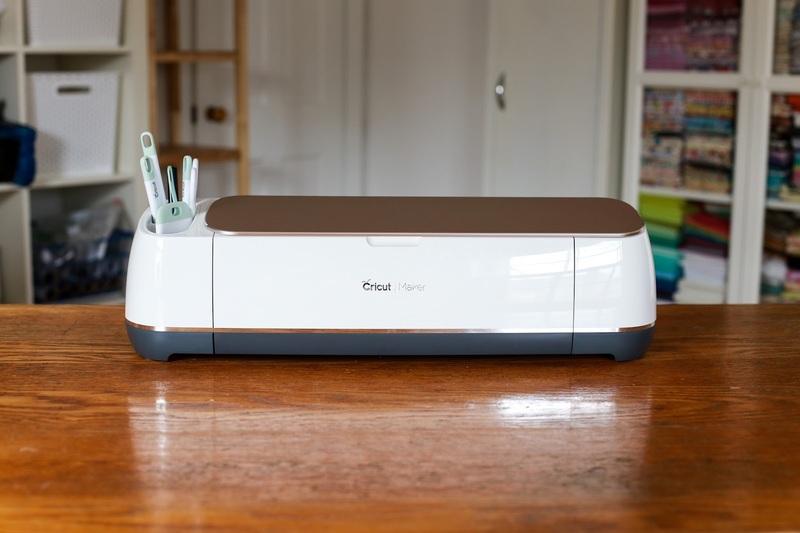 The Cricut Maker lets you get cutting with the touch of a button. I will still cut things traditionally, but I think this machine is going to be a great asset for me in managing my activity. I've never used a Cricut machine before, so I decided to make a video of myself using it. Please excuse my video skills/set-up! I don't have a lot of experience shooting videos, but I felt it was the best way to show you the machine. I was intimidated at first, but it was easier to use than I expected. I'm excited to continue to learn everything this machine can do, and really take advantage of it. In the video, I walk through cutting pieces for a simple pincushion, including creating the shapes in the Cricut Design Space. The program allows you to create your own designs, upload images, and customize your projects. There are tons of ready made projects available too. 3. Arrange your triangles into two rows. Piece two triangles together in each row. Press seams open. Attach the final triangle in each row. Press seams open. 4. Place rows right sides together, lining up the seam and the row ends. Place a pin through the points to match them up. Sew rows together. 5. 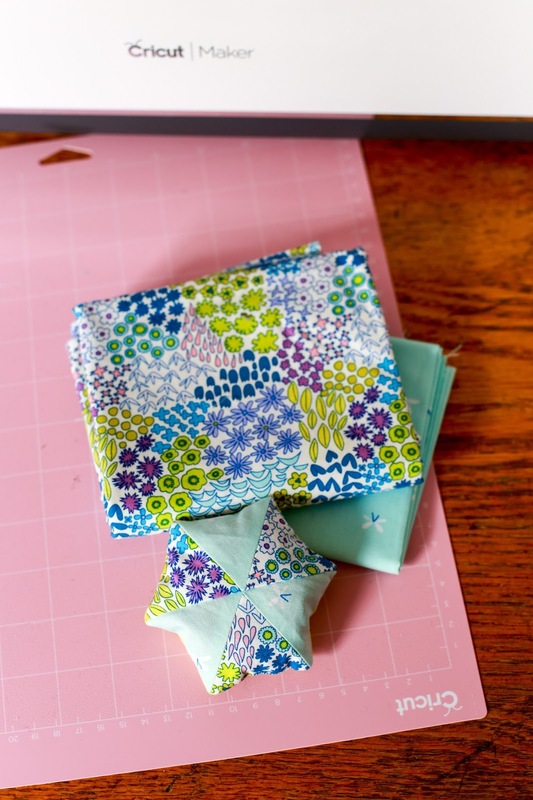 Use your pincushion top as a template to cut a backing for it from the 5" square. 6. Place pincushion top and backing right sides together. Sew around all sides, leaving a small opening on one side for turning. Turn pincushion right sides out. Fill your pincushion with filling of choice, hand stitch the opening closed. Next week I'll be sharing another project made with the Cricut Maker, so be on the look out for that! I can definitely imagine this making life easier for folks with limitations like yourself. Hooray for technology allowing you and others to keep creating. Thanks for this review. I have seriously been considering getting one of these. Oh that the pattern makers would get on board and start designing for this machine. love, love your post and great job on the video!! I have had two paper cutting Cricuts, I love seeing what they can do with fabric! I was excited to see your video tutorial! I've been looking casually at these but thought "do I want to spend all this time learning something new?" Your video showed just how easy it really is and I'm looking forward to seeing your next project. This is a very nice piece of equipment. I love it!! Very cool! That was an excellent review video. Probably not in my budget at the moment but something to consider in the future. Using it to prep EPP is a great idea, I'm looking forward to seeing what you do with that! Hi Jeni!! It's Rachel Spetrino!! I have LOVED your desktop calendars over the past few years, any chance you are posting one for 2018? ?